Theatrical Outfit’s 2018-2019 Season of Beauty is fully cast. 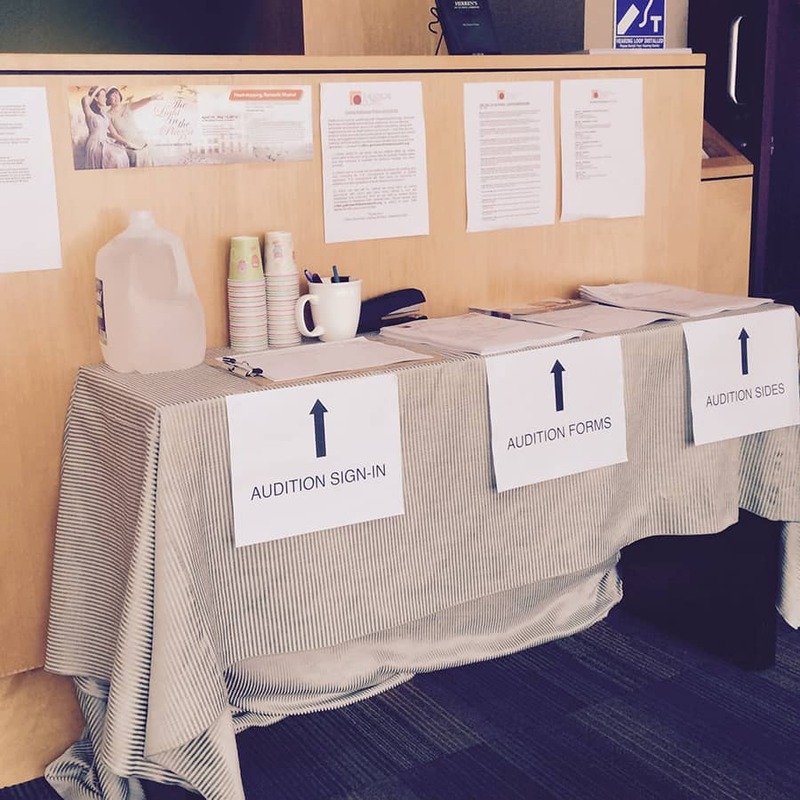 Theatrical Outfit’s Casting Director and Associate Artistic Director, Clifton Guterman, attended the Atlanta Unified Auditions (sponsored by C4 Atlanta) on March 18 and 19, 2019. A two day 2019-2020 Season Actors’ Equity Association Principal Audition, in conjunction with True Colors Theatre Company, will be held on April 15 and 16, 2019 at Theatrical Outfit. AEA members please log in to the AEA site and visit the Casting Call (Atlanta) section for details and instructions. Per our contract with AEA, no appointments slots may be given to non-AEA actors. For all general auditions at Theatrical Outfit, please prepare two contrasting monologues no more than three minutes combined. If you are a musical theatre actor, please prepare one monologue and one song cutting under three minutes total. For some auditions, an accompanist will be present and will be listed as such. Please bring one professional head shot and resume to all auditions. Unless otherwise announced, all show-specific auditions and call backs are by invitation only. Click HERE for a Q&A with our Associate Artistic Director/Casting Director on tips for auditioning professionally at Theatrical Outfit. Click HERE for a series of Backstage Experts advice columns from our Associate Artistic Director/Casting Director. Theatrical Outfit is interested in actors with significant stage experience/training in theatre. Theatrical Outfit is a non-profit professional theatre company operating under the Small Professional Theatre Category 8 Agreement with Actors’ Equity Association. Theatrical Outfit strives to first consider and employ Atlanta-based talent. Very rarely, we search for talent in other markets due to the specific demands of a role. In general, we do not supply housing to non-local talent. Theatrical Outfit’s Casting Director attends the annual spring Atlanta Unified Auditions sponsored by C4 Atlanta. In April of each year, Theatrical Outfit holds a season Equity Principal Audition following AEA guidelines. AEA members are encouraged to schedule audition appointments. Equity members without appointments will be seen as walk-ins as time permits between and after scheduled appointments. Non-Equity actors will be seen at Casting’s discretion based on schedule availability after lunch only. Check the Equity website and this page for up-to-date Casting Notices. Additional auditions are held on a show by show, invitation only basis for Equity and Non-Equity actors. Theatrical Outfit is committed to a policy of equal employment opportunity designed to promote a positive model of equity, diversity, and inclusion.